Heading south from Pinnacle Point you will see an imposing rocky headland at the southern end of Mackeral Bay. This is the divesite. 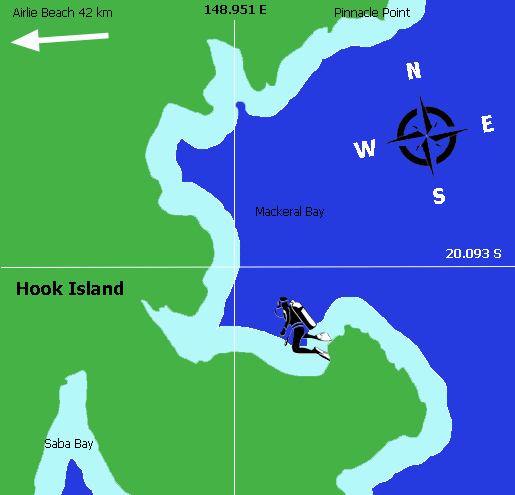 Start your dive as far back into the bay as possible and head out towards the point of the headland. 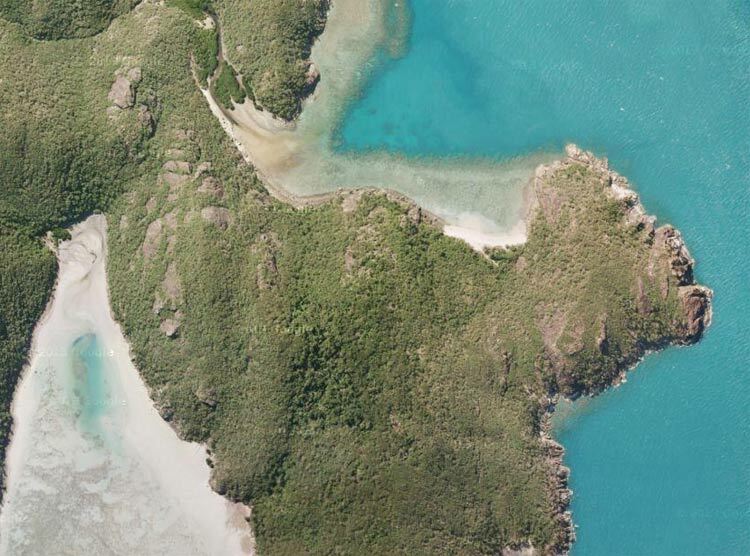 features include large caves, coral trout, sweetlip, slatey bream. 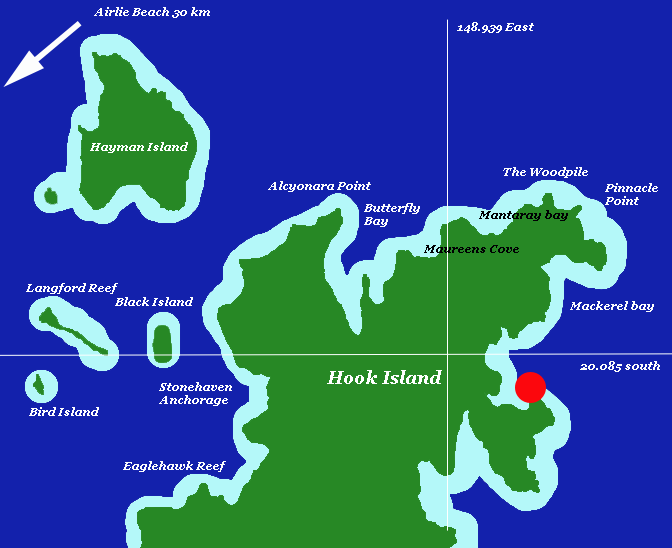 Eastern coast of Hook Island. Difficult to get Mackerel Bay in the right weather conditions because it is exposed to the South Easterly wind but a good dive if conditions are right. I dived the southern side near a huge wind blown overhang and found a spectacular cave with big coral trout and slatey bream hovering in the upper reaches. Current can be quite strong here so drift diving is probably the best option. Some big wrasse often seen here. Really needs to be a light northerly on neap tides.